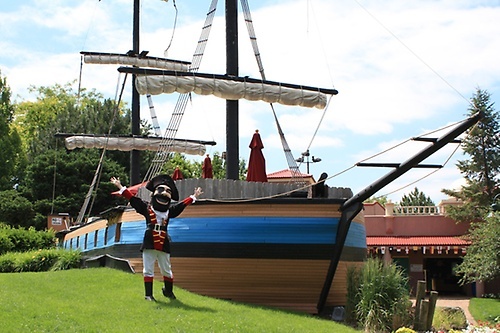 Pirates' Cove Theme Park is designed to stimulate and encourage the creative exploration and imagination of children ages 1 - 9. 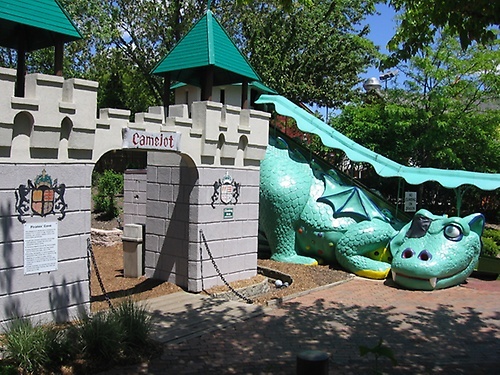 Attractions include an 18th Century Pirate Ship, an old fashioned carousel, paddle boats, train rides, climbing wall, fun slide and bounce house. 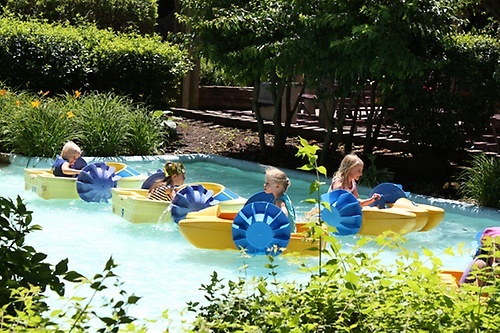 New this summer is the Soarin' Schooners Ride! With picnic areas and concessions. Every Friday is a special event from 10am-2pm. 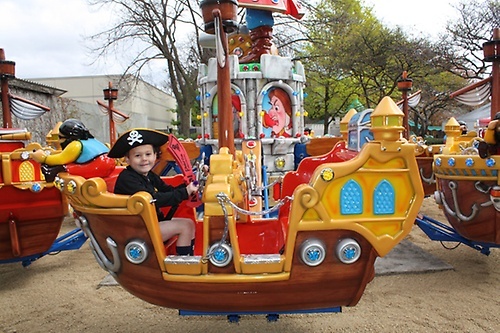 Pirates' Cove is the perfect place for groups and birthday parties! Reg. Season: May 30 - Aug. 16, Mon., Wed., Fri., Sat. 10am-4pm, Tu. & Th. 10am-8pm, Sun. noon-4pm. Admission: $11.00 per child. Adults are always free!